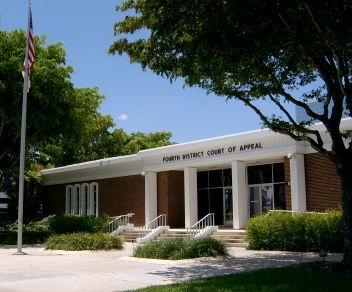 Recently, the Fourth District Court of Appeal in the case of Citizens Property Insurance Corp. v. River Manor Condominium Association, Inc., ruled that an insurer is not required to provide an association with coverage for “all portions of the condominium property located outside the units” and “all portions of the condominium property for which the declaration of condominium requires coverage by the association,” notwithstanding the requirements of Section 718.111, Florida Statutes. In the case, Citizens Property Insurance Corp. (“Citizens”) provided insurance to River Manor Condominium Association, Inc. (the “Association”) for a residential condominium comprised of three buildings and exterior common elements. The condominium was damaged in Hurricane Wilma and, when the parties were unable to agree on the extent of the damage, they participated in a mandatory appraisal process that resulted in an award that specified the total loss sustained by each building and the exterior common elements. (a) A unit-owner controlled association shall use its best efforts to obtain and maintain adequate insurance to protect the association, the association property, the common elements, and the condominium property required to be insured by the association pursuant to paragraph (b) . . .
(This provision, as amended, is now found in Section 718.111(11)(d) and (f), Fla. Stat. (2012)). The trial court agreed with the Association and awarded final judgment to the Association, including the amounts that the appraisal attributed to the exterior common elements that were otherwise excluded from coverage. The appellate court reversed, however, finding that Section 718.111(11), Fla. Stat., governed only condominium associations and not insurers. The court, guided by well-established principles of statutory interpretation, stated that while a statute must be given its plain and obvious meaning, it must be read in the context of the surrounding sections. The court also stated that the language of a statute must not be interpreted so as to lead to an absurd or unreasonable conclusion. In interpreting Section 718.111(11), Fla. Stat., the court first noted that this section is contained within Chapter 718, which is aptly titled the “Condominium Act,” the purpose of which is to give statutory recognition to the condominium form of ownership and to establish procedures for the creation, sale and operation of condominiums. The court went on to explain that the aim of Section 718.111(11), Fla. Stat., is not to further regulate insurance companies, as that industry is extensively regulated in other parts of the Florida Statutes. Instead, Section 718.111(11), Fla. Stat., imposes insurance obligations on associations and their boards. By further examining the requirement in what was then numbered as Section 718.111(11)(a), Fla. Stat. (2005), that associations use their “best efforts to obtain and maintain adequate insurance to protect the association, the association property, the common elements, and the condominium property required to be insured by the association…,” the court found that the purpose of subsection (11) was to identify the types of insurance the association was responsible for obtaining and the level of effort it must use to do so (i.e., “best efforts”). If the Association’s argument that subsection (11) imposed an obligation on insurers to provide such coverage, subsection (11)(a) requiring the Association to exercise its “best efforts” would be rendered meaningless – the Association would not have to use any effort to obtain the required insurance as coverage could be obtained by legislative command if an insurer refused to provide it. As such a result would be unreasonable, the court, therefore, concluded that subsection (11) was intended to impose an obligation only on associations to use their “best efforts” to obtain the required coverage, and it recognized that there may be time where market forces prevent this objective from being achieved. When read as a whole, Section 718.111(11), Fla. Stat., does not impose any obligation on insurers, and the court reversed the portion of the judgment that awarded damages to the Association for excluded items under Citizens’ policies, i.e., the exterior common elements. Based on this ruling, associations should carefully review their insurance policies with their insurance agents and/or experienced community association attorneys to determine the extent of coverage provided. Even though the statute requires associations to exercise their “best efforts” to obtain adequate insurance, insurers are under no obligation to provide such coverage. Therefore, associations may have to obtain more than one policy or pay higher premiums to obtain the necessary coverage for the condominium.